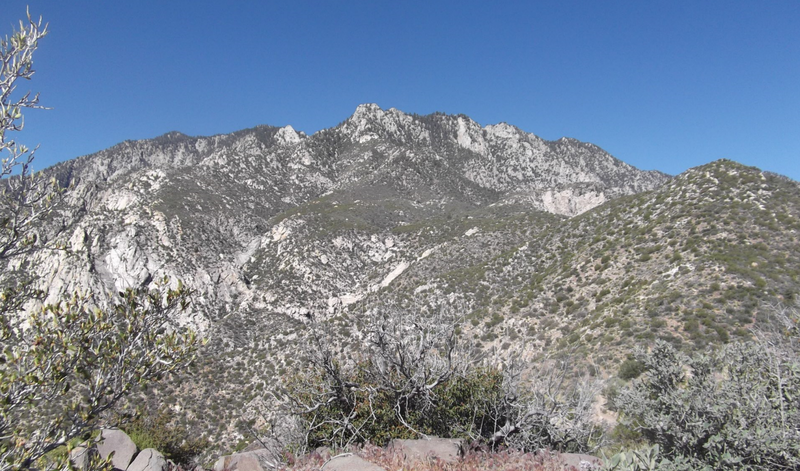 The Cactus to Clouds (C2C) trail is a hiking trail from Palm Springs, California to the San Jacinto Peak. This trail has the greatest elevation gain of any trail in the United States, and it is listed as number 5 by Backpacker Magazine in the list of America’s Hardest Day Hikes. The trail starts in Palm Springs behind the Art Museum at an elevation of 460 feet. 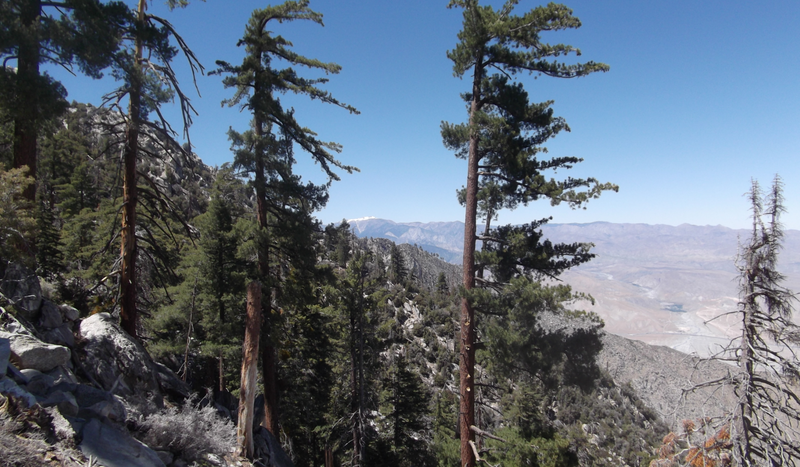 San Jacinto Peak is at 10,834 feet, so the trail rises a total of about 10,300 feet. Compare this to hiking from Whitney Portal, which is at 8,360 feet to the peak of Whitney, at 14,505 feet, so the climb is “only” 6,200 feet. You get the idea: You cannot climb more altitude in a day in a single hike than on this trail pretty much anywhere in the world. It’s formidable. I brought gear and provisions for the full C2C (like a down jacket and extra food), since on the top of San Jacinto there is snow at this time of the year, but I didn’t know what my stamina and strength would support. 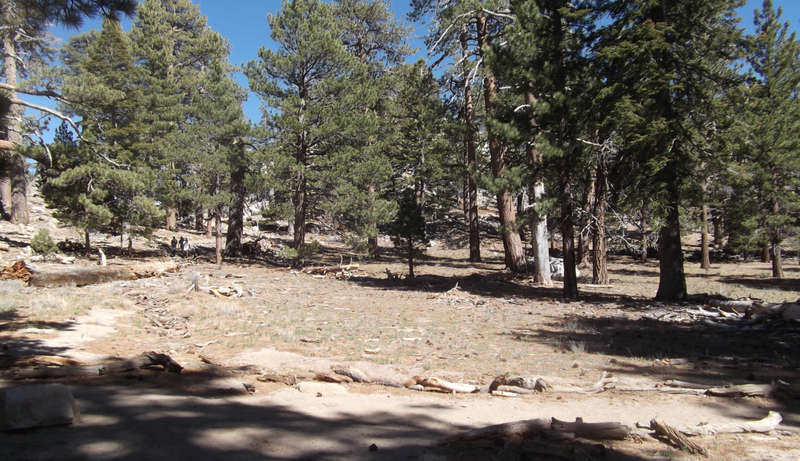 The “reduced” trip is what’s known as the “Skyline” hike, which is the same hike for the lower 8,000 feet and ends at the tram. I started at the Ramon Road trailhead at 3:00am. From 3:00 to 6:00am, when the sun comes up, I hiked alone in complete darkness, with my headlamp. I had reached about 3,000 feet of elevation when the sun finally came up. Just before the sun came up, I took my first photograph. This is taken facing east, over Palm Springs, about 2,500 feet below. I had been on the trail for about three hours. 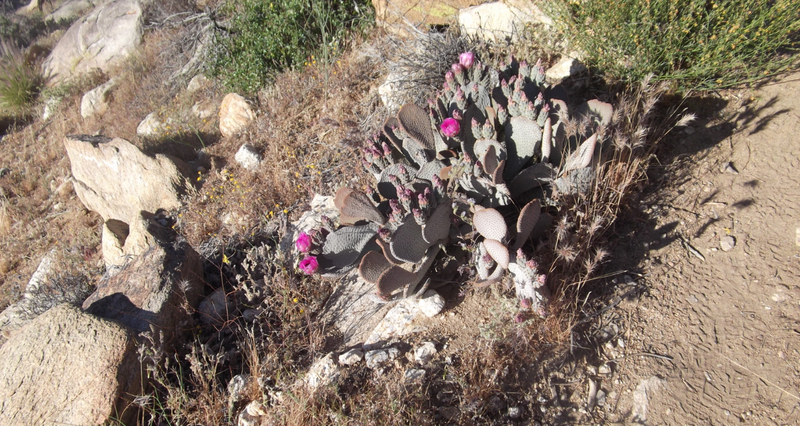 In the lower elevations, cactus of all types were in bloom at this time of year. From a typical trail scene at this elevation, the terrain is pretty scrubby, with thousands of cactus everywhere. In the distance looms San Gorgonio, with 11,503 feet the highest peak in Southern California, still covered in snow at the end of April. Here is a view up the mountain. Very typical terrain at the 4,000 feet altitude level. 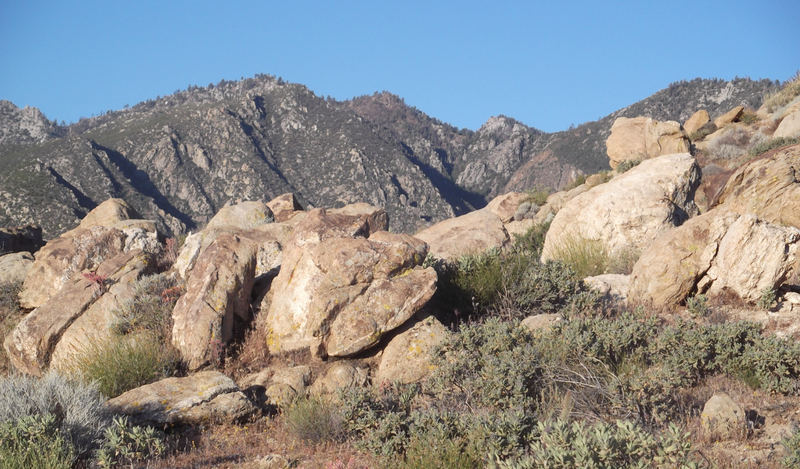 The mountain is covered by lots of rugged boulders, impenetrable shrubs and cactus. About halfway up, there was the only sign on the entire trail. 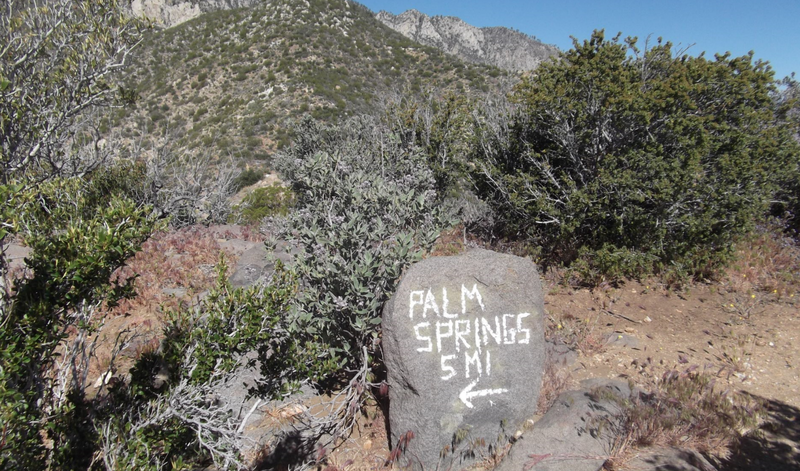 Of course, nobody hikes down this trail, but there is was anyway, a marker stating it’s five miles to Palm Springs. I had just come from there, so I knew. I took a break here, rested my feet and had a snack. 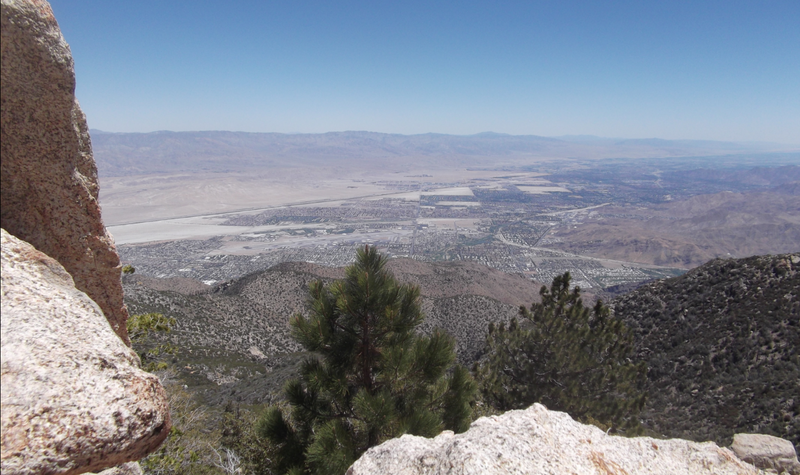 From a significantly higher vantage point, another look down on Palm Springs and the desert surrounding it. Here is where we’re going. 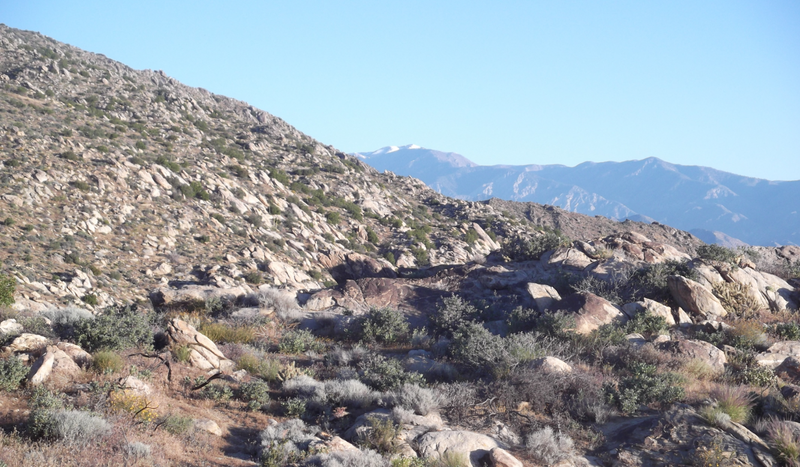 This is NOT yet the peak of San Jacinto, that’s far behind, but this is the ridge where the world-famous Palm Springs Aerial Tramway has its mountain station. It’s my way down, so I needed to make it there to get off this mountain. The C2C trail is one of those trails where, to “get out” you have to keep going up, because turning around into the heat of the desert, possibly with not enough water, can be fatal. So on I go. The red arrow points to the tram station at about 8,600 feet. That’s where I need to go. The red line shows the approximate route I’ll be taking up that way. The last 2,000 feet are absolutely brutal. Very steep, the trail is often eroded to the point of dissipating. It’s easy to get off trail and, believe me, you don’t want to lose the trail in that environment. Up on that final stretch, there are now massive trees and huge boulders. In the distance we can see San Gorgonio’s snow-covered peaks glistening. The trek up that slope seemed endless, hopeless. I took a few steps, and huffed and puffed and waited. A few more steps, more puffs. There were some very exposed areas that if I were to slip or stumble, I could easily fall a few hundred feet without being able to arrest my fall. That could end very badly. I kept telling myself to plan every step carefully, to be solid and stable, no matter how much my feet hurt or how exhausted I was. Suddenly, at 8,350 feet, it all ended. I crossed the ridge and arrived at the wide open flat valley above. Day tourists abounded by the hundreds, with clean clothes, smelling of perfume, flip flops and small children in tow, none of them had hiked up. They had come up on the tram for a day on the mountain. Suddenly I felt like a relic, dirty, exhausted, shuffling up the ramp to the tram station. After hiking for 11.25 miles, gaining 8,000 feet of elevation, I did not have enough time or strength to go on and add the 5.5 miles and 2,300 feet elevation gain from there to the peak, and, of course, the 5.5 miles back down from the peak to get back to the tram, which would have made it a 22 mile, 10,300 foot day. When I was struggling my way up, a lot of hikers fitter than myself passed me, and I was questioning my abilities. Then I reminded myself that this hike is listed number 5 by Backpacker Magazine in the list of America’s Hardest Day Hikes, and only badass hikers can even do it. That helped. I just was one of the weaker badass hikers. My advise: Do not commit to this trail unless you have done something similar before. You can’t practice gaining 8,000 feet of altitude in one run anywhere else. You will need to carry four liters of water. There is no chance of refilling anywhere along the way. You need to start at night so the heat of the desert morning does not exhaust you. You need good sun protection, since the majority of the trail is completely exposed. And you need to a be careful scout because it’s easy to lose the trail at times, particularly at higher elevations when you are most exhausted. You cannot afford to get lost in that environment. I could not check Cactus to Clouds off my list. That is there for another day. But I could check off the Skyline Hike, one of the hardest day hikes I have ever done. Extremely impressed! And carrying all that water, too. My sister lives in P.S. and I have been up the tram several times, and find it hard now to climb up to the tram from the parking lot! 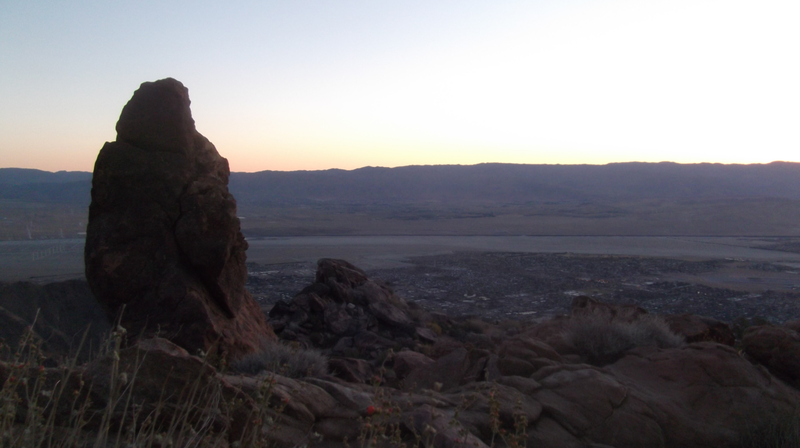 Have hiked around the top a little — it is lovely and so cool/cold after the heat of the desert. Oh, nice you’ve been right here. My neighborhood. Yes, the area on top is beautiful, albeit overrun by day visitors. That ends quickly once you head a mile out in any direction, though. I actually carried 6 liters of water, since I didn’t know how much I’d need. I know now. And yes, moving any parts of my body today is painful – but it’s a good pain.